It's time to rock a rainbow-themed party! It's that time of year: your little one's birthday celebration! And you're about to rock your way through any DIY project that'll make a unique and colorful party-going experience! It’s all about the decor scheme when it comes to a summer party! Celebrate your little one by making them the center of attention on their big day! Collect and print similarly sized headshots of your little one. Cut out triangles on card stock. Cut around your little one’s headshot so only their head remains. Glue triangles onto the headshot so it makes a party hat and decorate. On the top of each hat, place a letter to spell “Happy Birthday!” Punch a small hole at the top to feed string through. Hang when complete. Level up your display with some tiered treats! Smooth over unfinished wood with sandpaper. Glue together wooden plaques and candlestick holder in ascending order and let dry for 1–3 minutes. Paint on desired colors, then let stand to dry. Sealer coat optional. 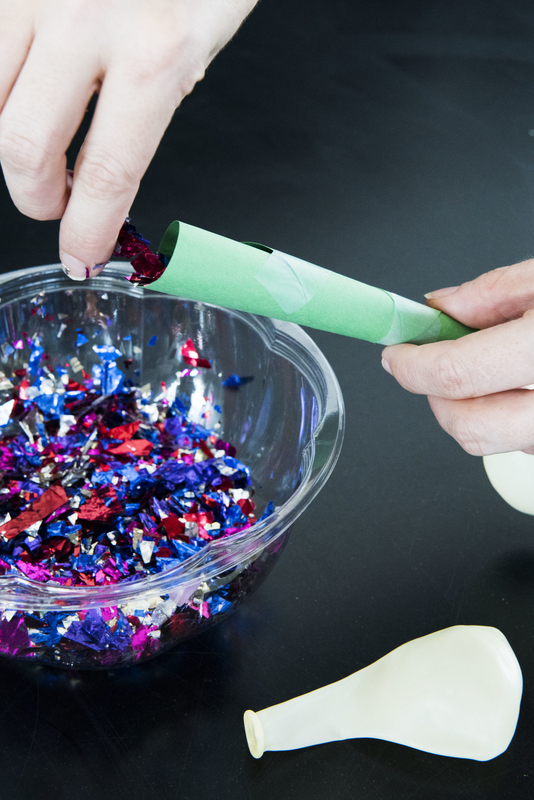 Go all out with a colorful confetti bang! Cut tissue paper into small confetti-like squares or circles. Open mouth of a balloon and insert cut tissue paper until filled. If desired, use funnel to add a pinch or two of glitter! Inflate and tie off balloon with ribbon. Pro tip: If the confetti sticks to certain areas in the balloon, shake until dispersed. Give them an eye-catching app that’s healthy too! 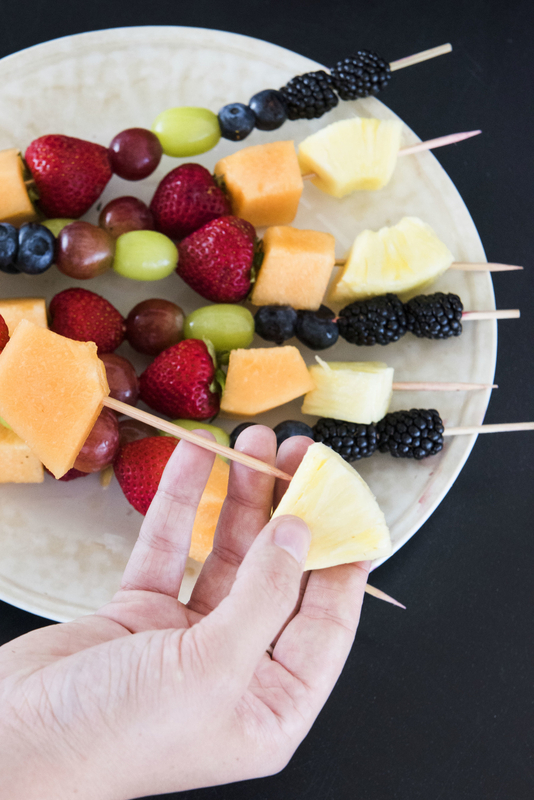 Wash and cut fruits down to a smaller size (but not too small that the kebab stick will break the fruit). 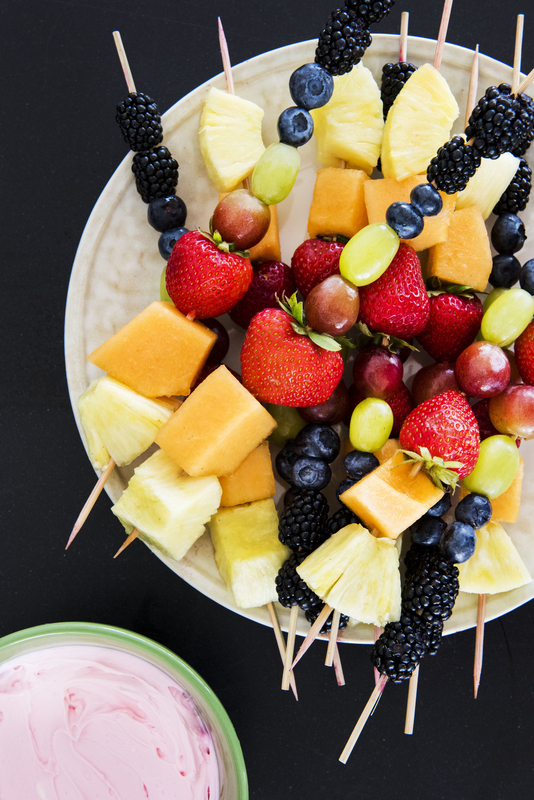 In rainbow order, arrange fruits along the kebab stick. Beat together whipped topping and softened cream cheese until smooth. Add in vanilla extract and powdered sugar. Divide dip into different bowls and add food coloring. Keep chilled until serving. 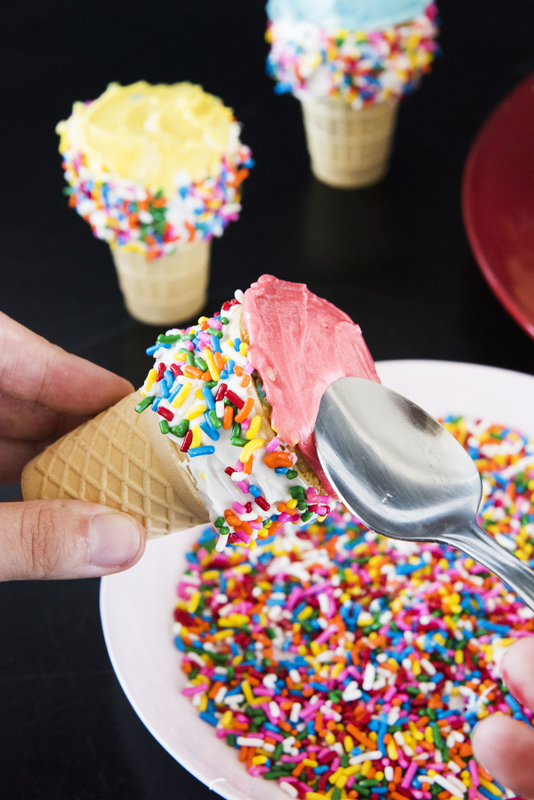 Keep the color comin’ with a minimal-mess cone! 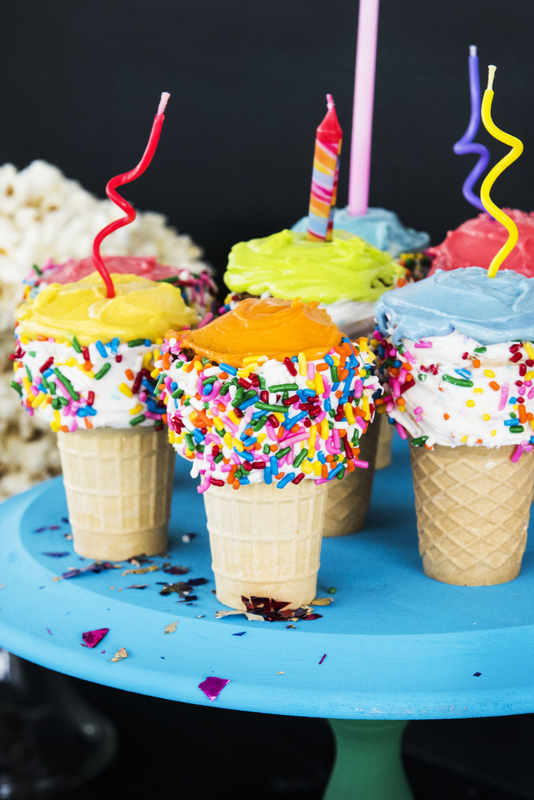 Follow boxed instructions and bake cupcakes into standing sugar cones. Let set and cool. Once cooled, melt chocolate and disperse sprinkles onto a separate dish. 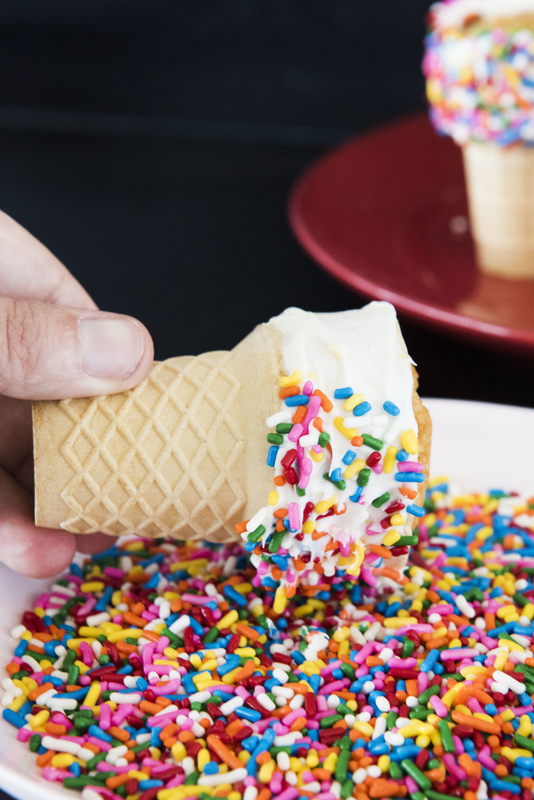 Dunk the top of the cone into the melting chocolate and roll the edges through the sprinkles. Mix food coloring and frosting in separate bowls and spread as desired. Keep cool until serving. Pro-tip: Need some more color? Add coloring to cake mix for the full rainbow effect! Keep the party popping with these adorable party poppers! Tie the tail end of the balloon in a knot and cut off the opposite side. Secure and wrap the balloon on one end of the toilet paper roll and staple. Cut and tape scrapbook paper to size around the roll. Add confetti inside. 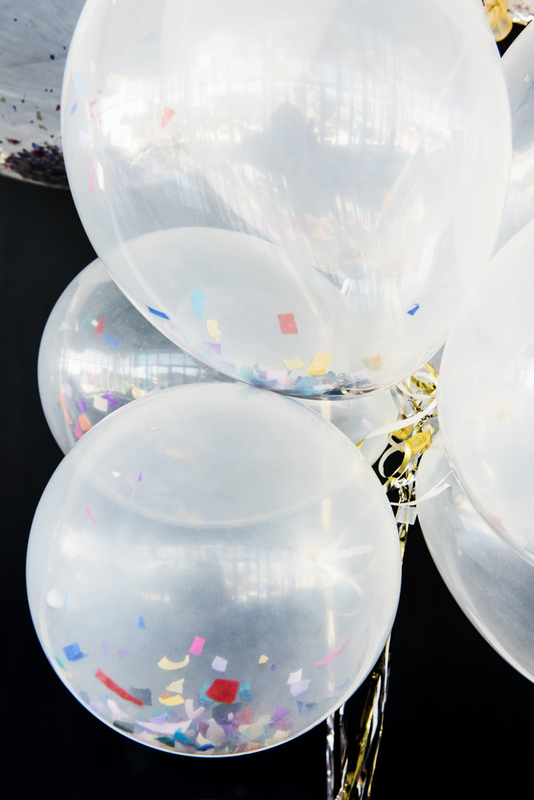 For use, pull back on the tied end of the balloon and let the confetti pop the party up! 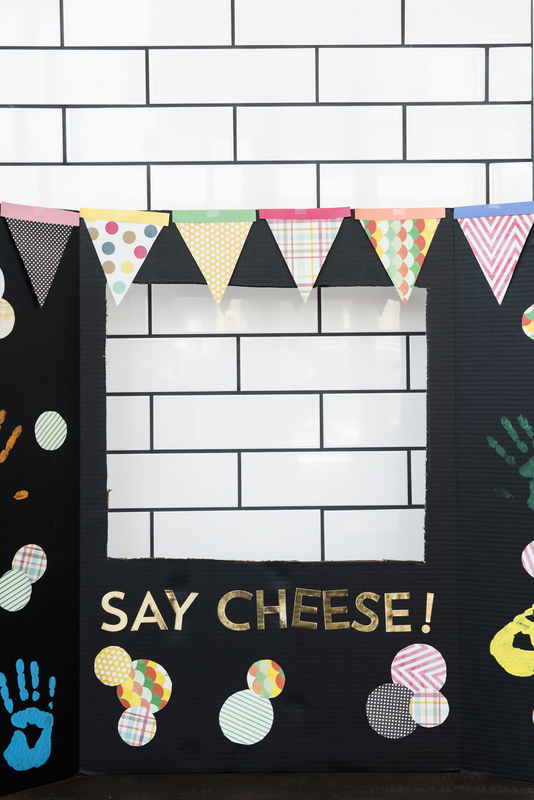 Have a parent manning an adorable photo booth so the kids can have memories to last a lifetime! Cut a square opening in the center panel of your poster board. Use leftover banner pieces to create a cute border. Cut out various shapes from card stock. 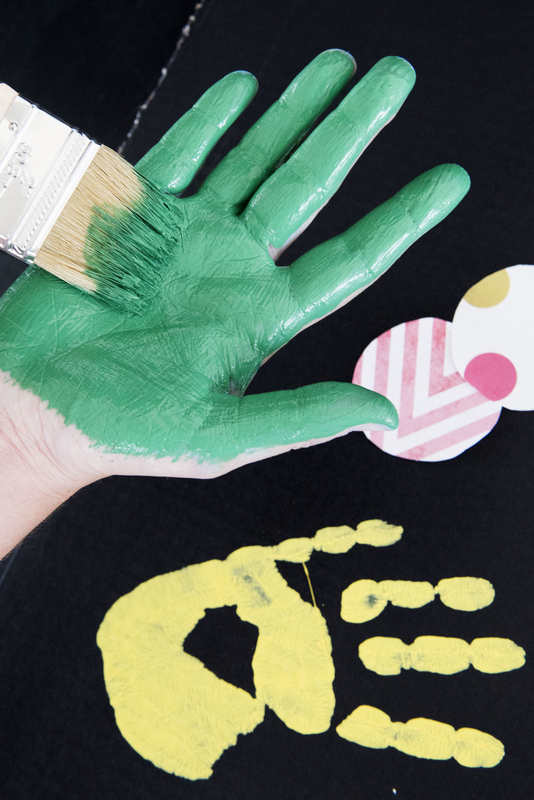 Wrangle your little one to get their painted handprint on the board. Once dried, attach shapes and any little decor extras to the board. With markers, add any accompanying text. Pro-tip: If you’re not confident in your calligraphy skills, try simply printing off a cute font or using fun stickers. Don't forget to the final touch of some good tunes to set the party mood! And you'll pass the party with flying colors! Don’t stress when it comes to preparing for your kid's birthday parties! Samsung’s Family Hub™ has your back for all the planning and partying your kitchen may see.